The premise behind HalfNoise, the new band put together by ex-Paramore drummer Zach Farro, is to combine "the ambiance of bands from Iceland with the sampling and electronic elements of Radiohead". That's certainly apparent from the intro, with its electronics, glockenspiel and falsetto vocal. Farro is clearly trying to distance himself from his previous involvement with Paramore by choosing contrasting influences, though, as you'd expect, the music is underpinned by some powerful drums. Yet, for all its icy, fluttering wonderment, Free The House sounds derivative. It's as if HalfNoise have simply cut and pasted elements from their favourite artists, sounding like a mash-up of Radiohead and Sigur Ros, with bits of Bon Iver and The Postal Service thrown in for good measure. The sound, therefore, is more akin to that of recent breakthrough Clock Opera and their "chop-pop". 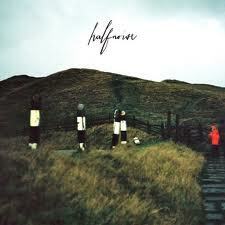 It's a decent first effort, but HalfNoise need to enrich their sound with some originality. Watch: HalfNoise will be touring the States in June with Paper Route.